The driving test in England and Scotland will change from 4 December 2017 with learner drivers asked to follow sat nav directions and reverse out of parking bays. There will be four changes to the test. So along with following sat nav directions and the addition of reversing out (or into) a parking bay, drivers will have to answer two vehicle safety questions while driving. The final change will see the independent driving section of the test extended from 10 to 20 minutes, roughly half of the test. It's part of a move by the Driver and Vehicle Standards Agency as it looks to introduce a test with 'more real life scenarios' and is the biggest change to the driving test since 1996, when the written theory test was introduced. 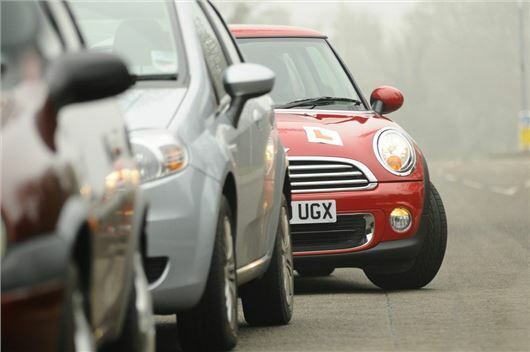 The new test has already been trialled with over 4000 learners and 850 driving instructors, across the UK. Steve Gooding, director of the RAC Foundation, said: "These changes recognise that it is more important for candidates to demonstrate the ability to drive independently on high-risk roads than the skill of reversing into a quiet cul-de-sac." Meanwhile, motorway lessons could be introduced in 2018. This would allow qualified instructors to take competent learners onto the motorway for lessons in vehicles with dual-controls. The plan is part of the wider government initiative to cut the number of accidents involving new drivers. Surely it would be better to teach learners to reverse into a parking bay.It's much easier and safer to drive out than reverse out.It might also be an idea to teach the art of parallel parking as it seems to be out of reach to a lot of current drivers. Satnav's only encourage drivers to look at a screen instead of the road and what is so wrong with the ability to read,and in some cases actually observe road signage.Another seemingly lost art.That's enough for now I've had my rant. I agree with john fordham. I would also make it illegal for any driver to look at a satnav screen when driving. The satnav I use is out of my sight and I navigate successfully listening to the verbal instructions.